We're happy to share the result of our first global survey of quality goals. Over 450 laboratorians responded from 80 different countries, giving us not only great insight into the goals being used around the world, but also a vast number of comments. Thanks to so many of you who shared your views and provided your perspectives. It's gratifying to see so many people work together to achieve a common goal. In December 2014, the first Empower IVD use meeting was held in Gent, Belgium. The Empower project promotes the quality, stability, and comparability of global in vitro diagnostic testing. 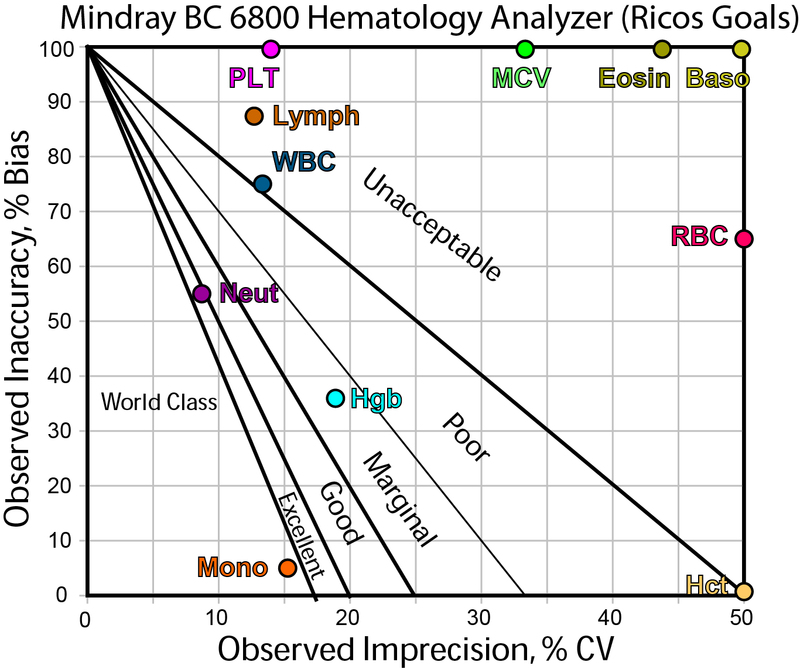 It's been a while since we've looked at the Sigma-metrics in hematology methods. This time we're going to check whether a study claim of "being good and precise" lives up to the actual performance. We also try to compare current hematology analytical goals to see if the targets are reasonable, too tight, or too wide. In this instrument, is there bias in the blood? A guest commentary on the Woodworth et al study of HbA1c methods. If we have poor methods, can we overcome all the problems just by running more QC, more rules, and more often? Can more controls compensate for a compromised method? Q & A: Do I need 4:1s and 10:x rules? "It is for Free T4 analyte. Customer [has] establihed a QC range after 20 QC runs. Mean and SD were derived from 20 runs and %CV achieved from 20 runs is 1.2%. Allowable interassay precision criteria according to CLIA is 6%. "Now when customer [applies] Mean and SD according to the established range many...times they face QC rules violations of 41s and 10x. "So can you please suggest, when the SD is too narrow is it necessary to apply these two rules to immunoassays?" What's your guess? I'll take a stab at an answer, after the jump. 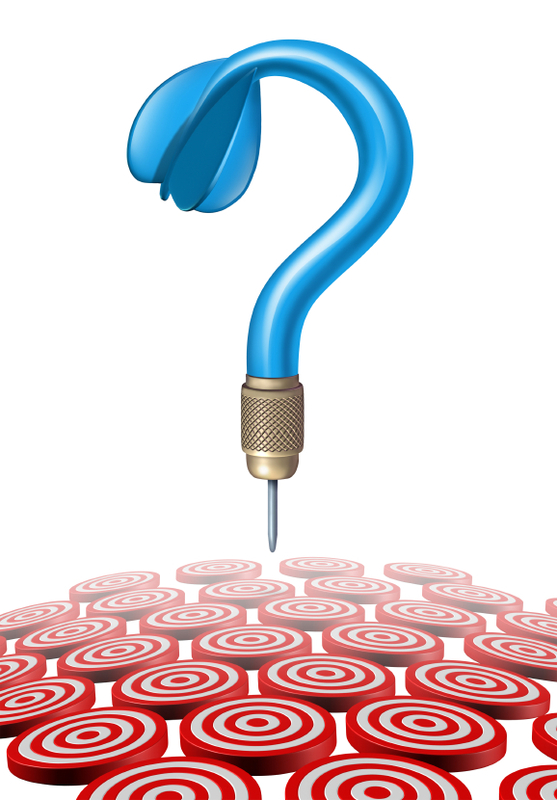 Pop Quiz: How many SDIs can a hematology control drift? If you take a hematology control, how many SDs should you expect to see it shift at week 5 of use versus the first week of use? In other words, what is the SDI you should expect? Sorry for the short notice, but I will be giving a lecture on Six Sigma Calculations in Clinical Chemistry, a basic introduction to the technique, at the Arab Health Med Lab conference in Dubai. I am part of Track F, Session 3, on Thursday, January 29th. If you're in Dubai and attending the conference, I encourage you to come to this session. It's a quick way to start learning about Six Sigma. My thanks to the ArabHealth and MedLab Congress for inviting me to present at this growing conference. I'm happy to announce that Concepts and Practices in the Evaluation of Laboratory Methods will again be taught at this year's upcoming AACC/ASCLS conference in Atlanta on Sunday, July 26th. In the morning session, Nils Persons, PhD and I will teach Method Verification. This is the shorter, less data intense protocol for method evaluation. Method Verification can cover moderately complex methods and POC devices. Basically, we'll talk about making sure you're selecting the right test (before you even get it in your lab) and then verifying that the product is living up to the label claims. In the afternoon session, Nils and I will tackle a more complex subject: Method Validation. This involves more studies and applies not only to the usual laboratory methods but also to those exotic Laboratory-Developed Tests (LDTs). While we will endeavour to make these sessions stand on their own, but honestly, if you're a laboratory manager, you really need to know both techniques. Of those laboratory managers who attend AACC, I'm pretty confident that most of their labs have methods of all types of complexity and need to use both verification studies and validation studies. Attending both will allow you to understand the strengths and weaknesses of each approach. This will be the 39th year the workshop has been held, continuing the longest run in the AACC conference's history. The challenges are as fresh today as they were nearly four decades ago, and if anything, it seems like verification and validation are becoming even more important for today's new methods, and particularly for POCs being used "off-label" - thus requiring a full validation study rather than the typical "waived" laxity. Hope to see you in Atlanta! We'll update this with links to the specific sessions when those are issued.